Perhaps one of the most influential thinkers in the sustainability movement, Bill McKibben has a knack for converting ideology into action. 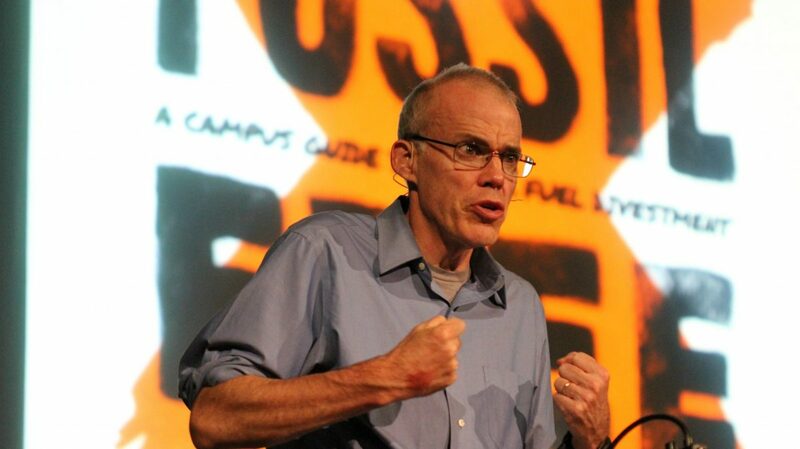 After his seminal book The End of Nature was published in 1989 (appearing in 24 languages to date), McKibben became the leading figure for a number of high-profile green missions – with 350.org and its rallies against the Keystone Pipeline being among the most notable. Now that “sustainable” and “green” are mainstream fare hashtagged and branded endlessly in both the corporate and consumer spheres – it would seem that the movements that bred these buzzwords could cry victory. However, as McKibben notes, we may be worse off than ever. The precipice of climate change, McKibben argued recently in The New Yorker, spells more despair than Nazi Germany did in the late 1930s. Why, then, is it not treated equally as a threat? In this brief exclusive with I&T Today, McKibben elaborates on this war for the world – one that sees us as stewards, not conquerors. Innovation & Tech Today: To the uninitiated, your recent analogy that compares climate change to WWII might seem hyperbolic. How would you respond to this reaction? Bill McKibben: Well, we’ve lost half the ice in the Arctic; and huge swaths of the planet’s coral; the world’s oceans are 30% more acidic; and July and August were the hottest months in the history of human civilization, triggering massive fires and floods. So, we’re losing lives and surrendering land. It feels a little like war to me. I&T Today: During your decades of work, you’ve collaborated with environmentalists from all over. Do you find that there are certain traits that define the profile of a typical environmentalist? I&T Today: I’m thinking of the recent pipeline battle at Standing Rock. What, in your opinion, is an environmentalist’s best defense against cynicism? BM: When we fight we often win. That’s the story of the Dakota Pipeline, where native Americans have shown incredible leadership. It’s the story of Keystone, and of Arctic drilling, and of a dozen other great fights. Big Oil looks invincible, but they’re not. If we have a movement that’s large and tough enough, we can change the zeitgeist. I&T Today: What piece of sustainable technology excites you the most? What’s the most promising thing you see on the horizon? BM: The cheap solar panel. That it’s become a commodity item is the most important fact in the battle for the future. I&T Today: Do you have any guilty environmentally-unfriendly pleasures? BM: Well, my main vice in the world is cross-country skiing, and last winter I ended up doing a good bit of it on man-made snow. Featured image courtesy of Bill McKibben.